Description First issued in late 1948 at 1/8d. 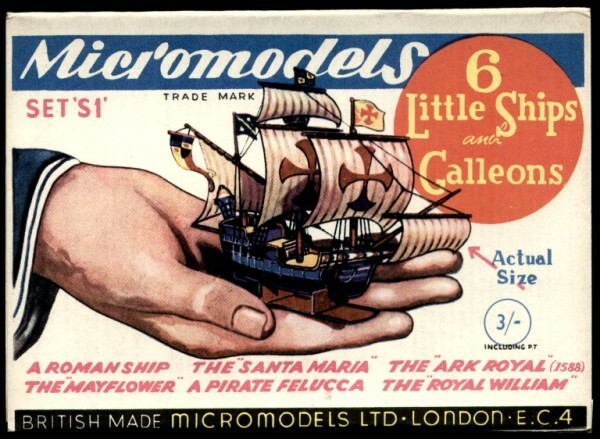 This first edition of Six Little Ships is simply marked “S” on the wrapper with no number. The colouring of the first edition wrapper is sharper and fresher than later editions. Reprinted in early 1952 at 2/-d.
Reprinted in late 1952 at 2/6d. 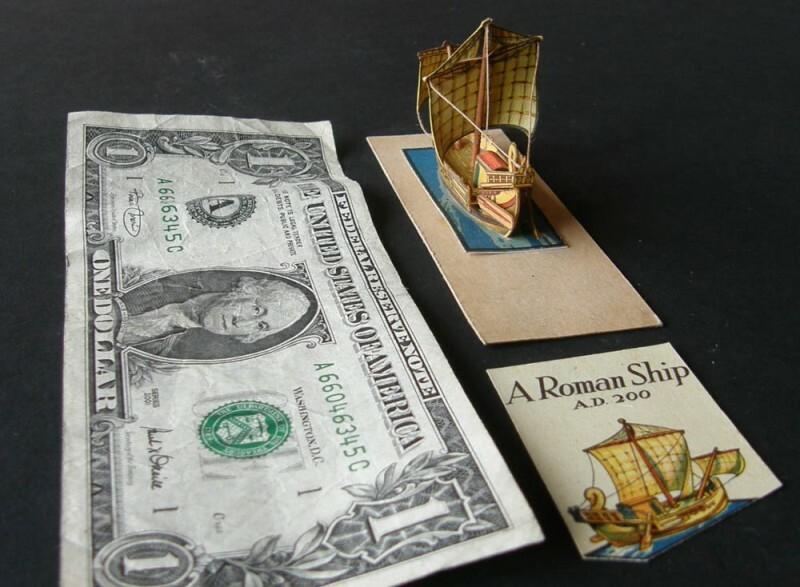 Large stocks of the 3/- reprint were purchased by Broadway Approvals in 1956, and later passed on to the Watford Model Supply Co. in 1971. 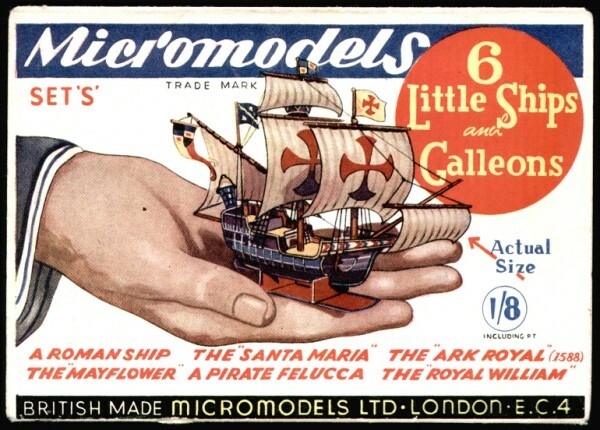 This set is considered by many to be the classic Micromodel. 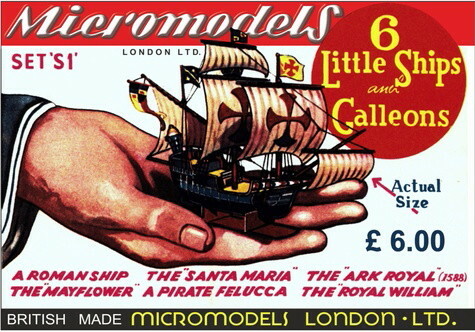 It is actually a reprint of the Modelcraft Set A1 “The Romance of Sail“. 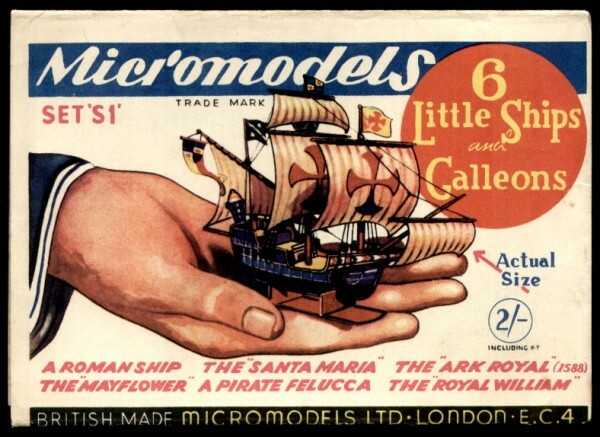 This was Heighway’s first attempt at commercial micromodelling and may date from 1940. 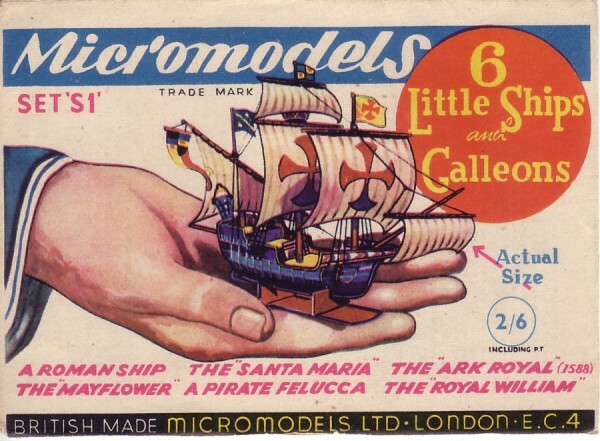 The original Romance of Sail cards have a description of the vessel on the reverse side. 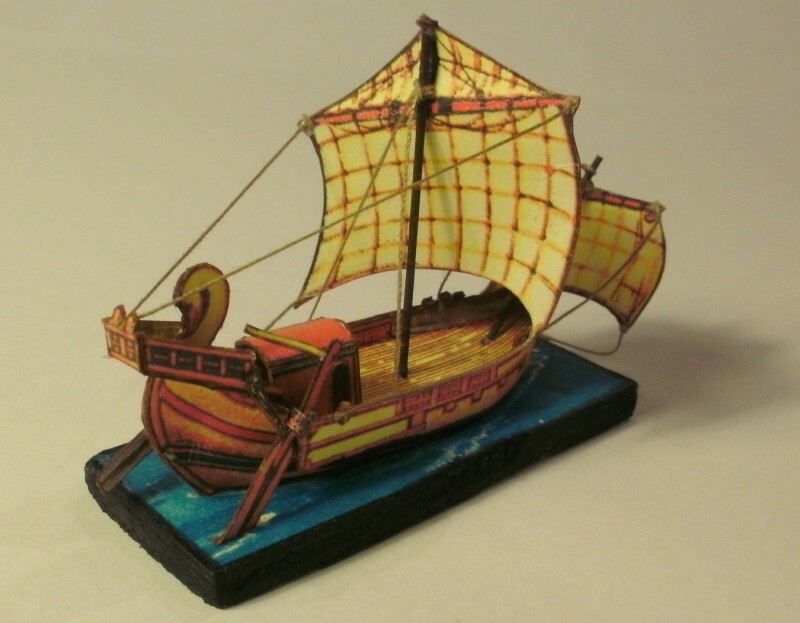 They are varnished cards which over the years have mellowed to a light teak colour. 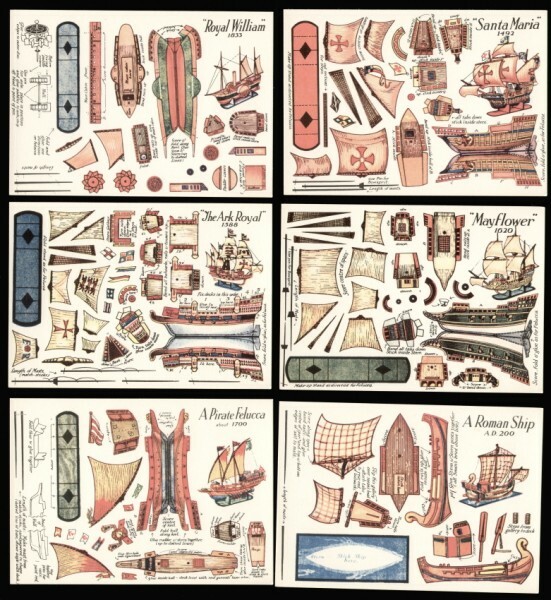 Myles Mandell issued Six Little Ships in the early 1980s as part of his Perigree cut-out book series. 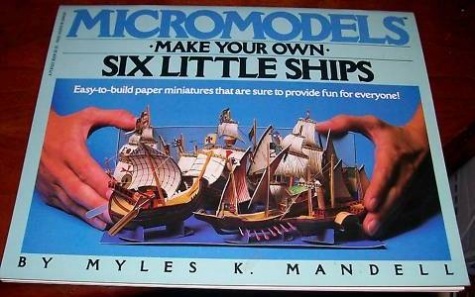 The model is basically the Micromodels 6 Little Ships, but scaled up approximately 2x. It was completely redrawn and features were added such as detailed instructions and planagraphs to make it easier for the novice modeller. The Deutsches Schiffahrtsmuseum has published set S I on one large sheet.